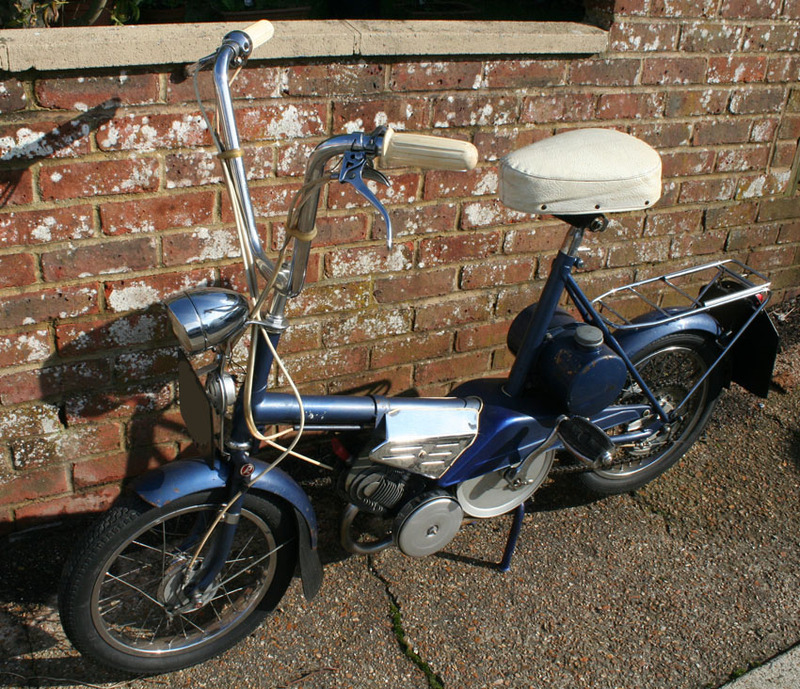 Wisps are wonderful little mopeds with delightful characters all of their own. 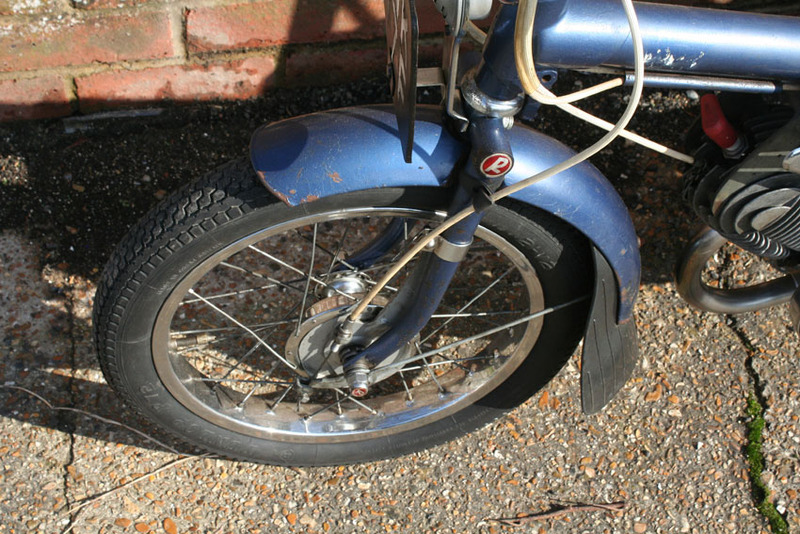 Their quirky design is typical of the sixties when London was swinging and the centre of the universe. 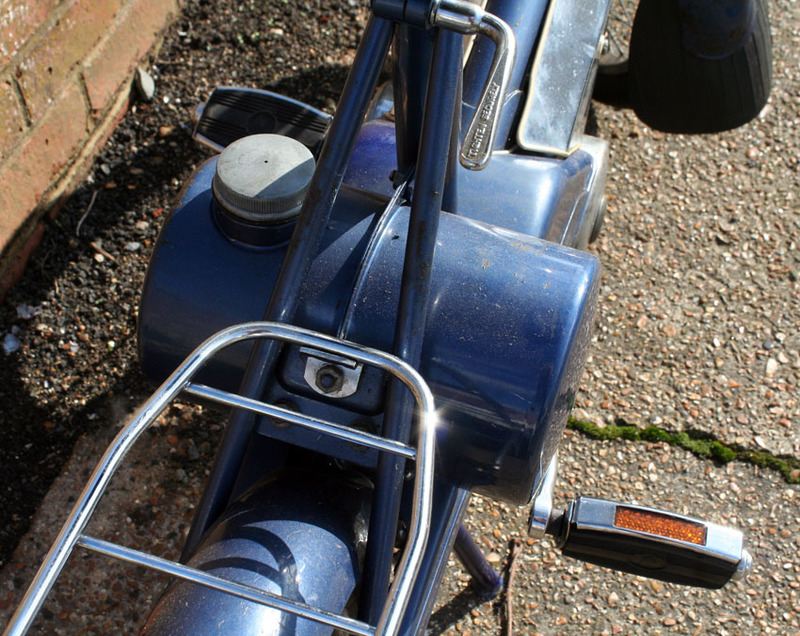 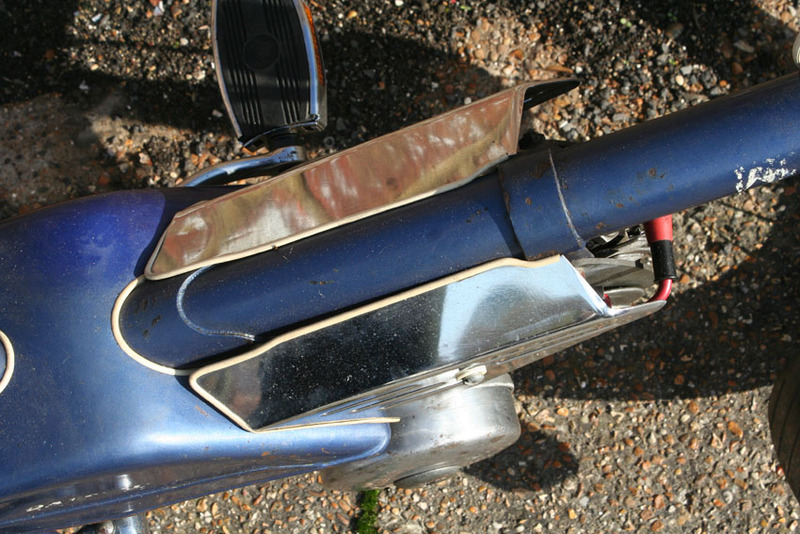 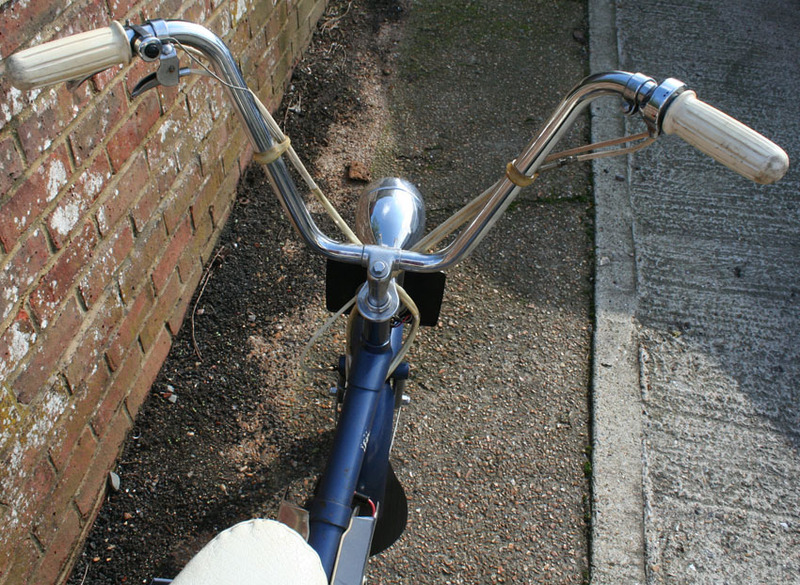 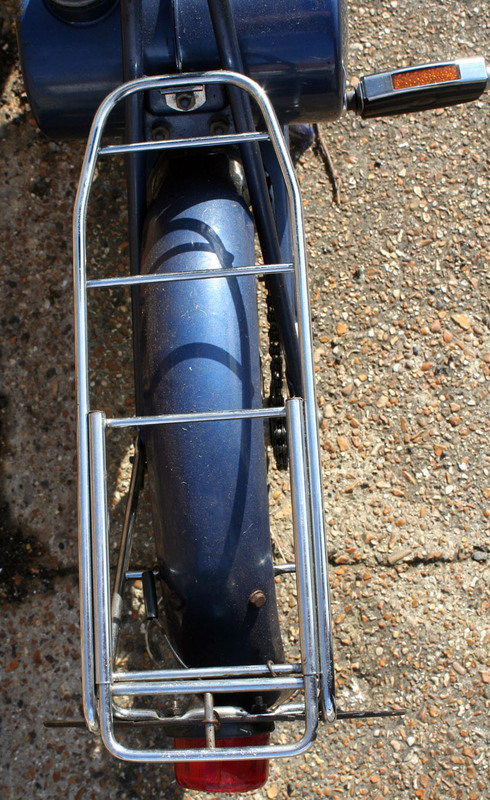 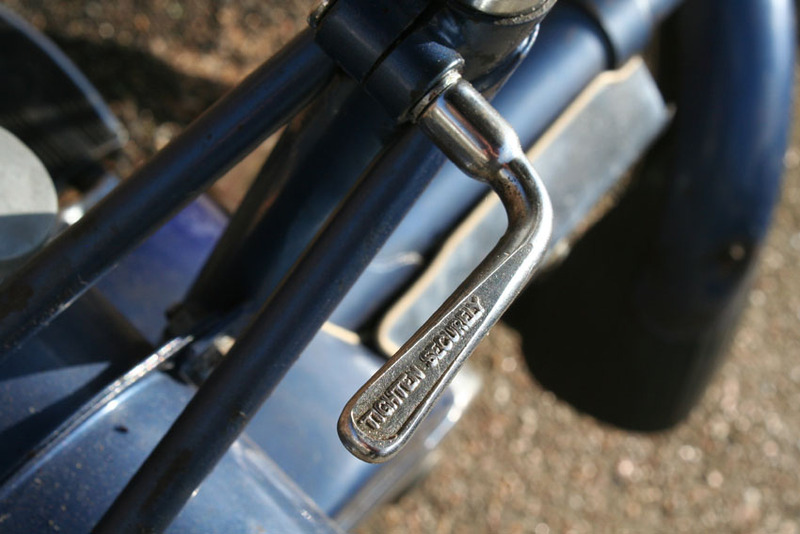 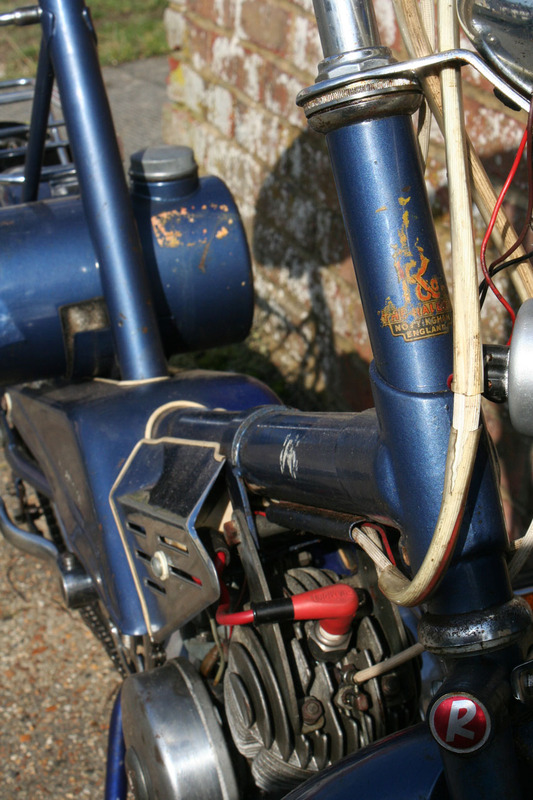 Being simple to work on and easy to ride, they make an ideal introduction to vintage motorcycling. 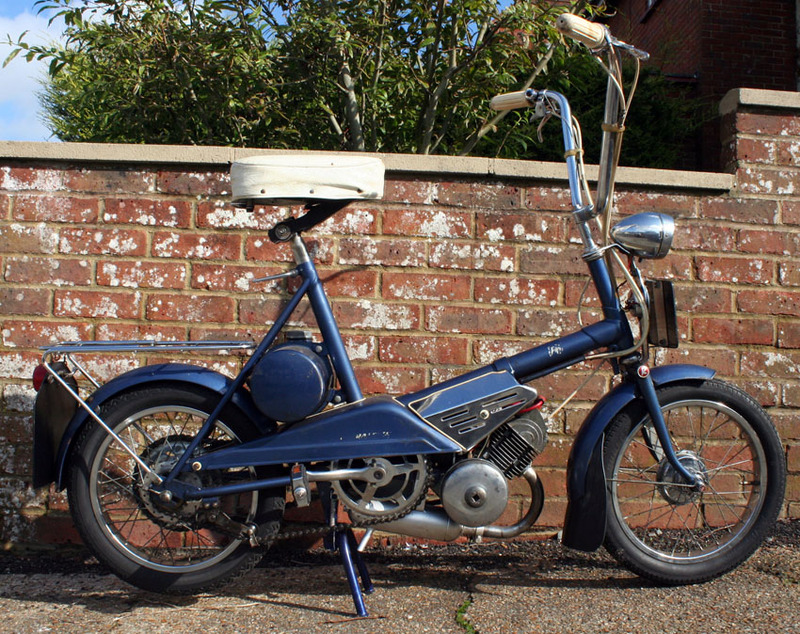 This one has been mechanically restored. 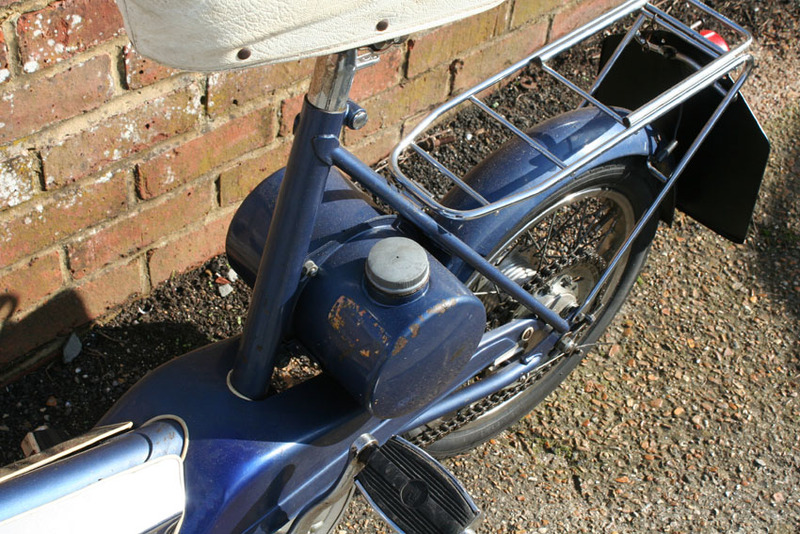 The paintwork is original unrestored and in good condition. 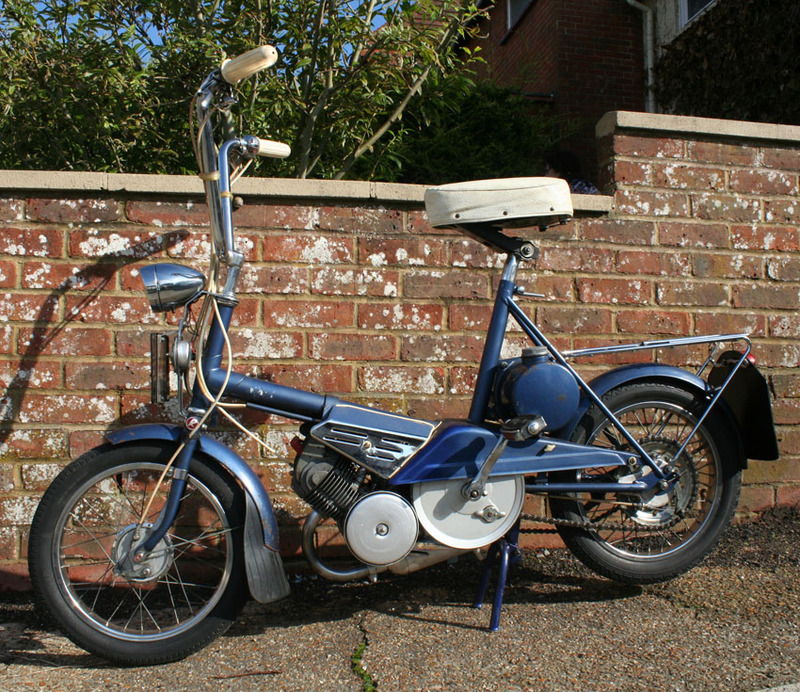 It will have a new MOT and tax on sale. 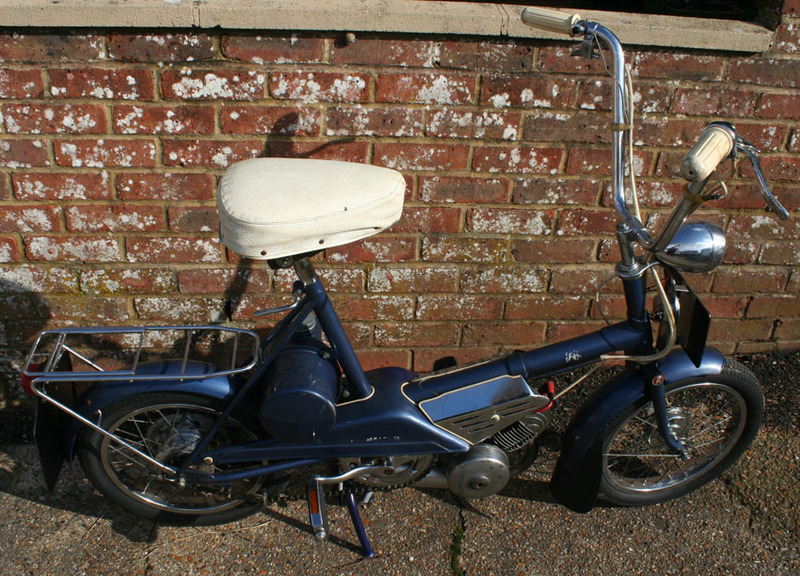 I can ship it worldwide by fedex for the same price as a bicycle. 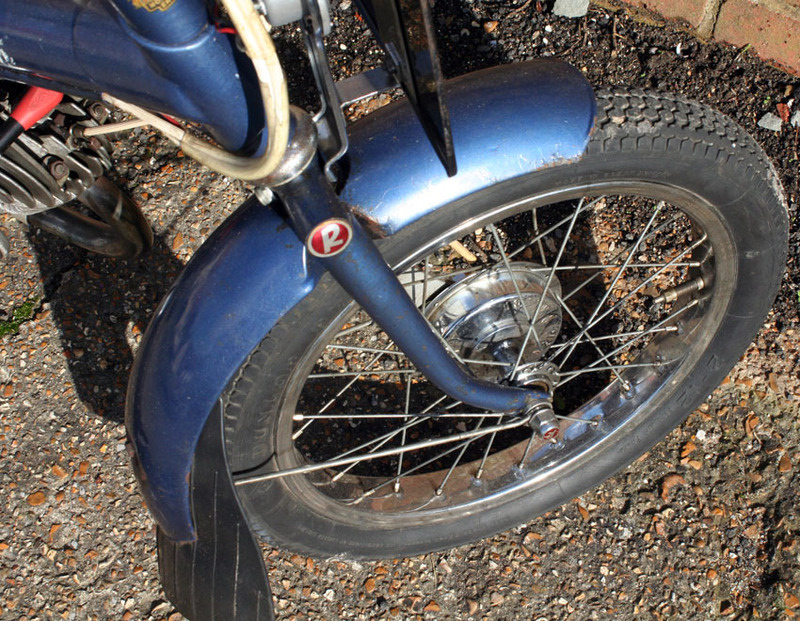 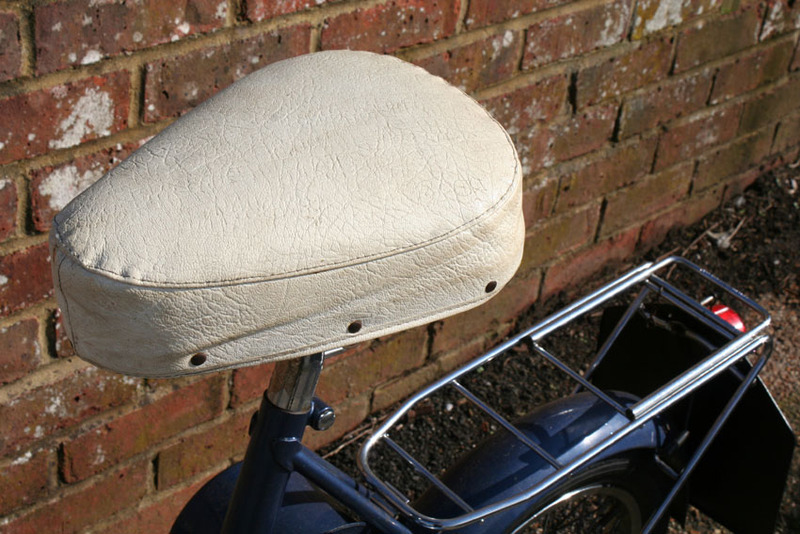 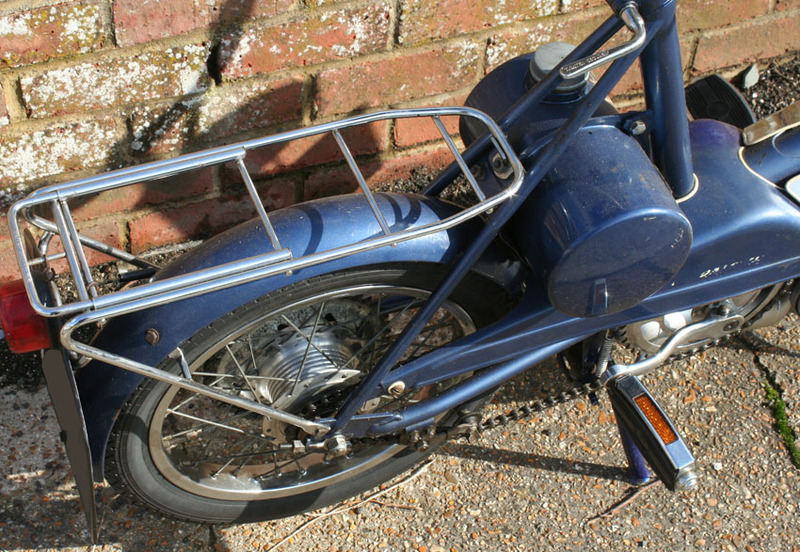 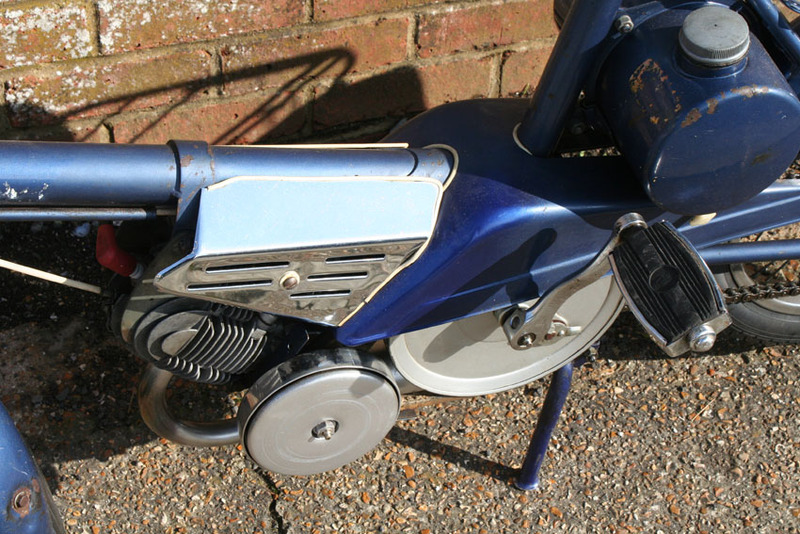 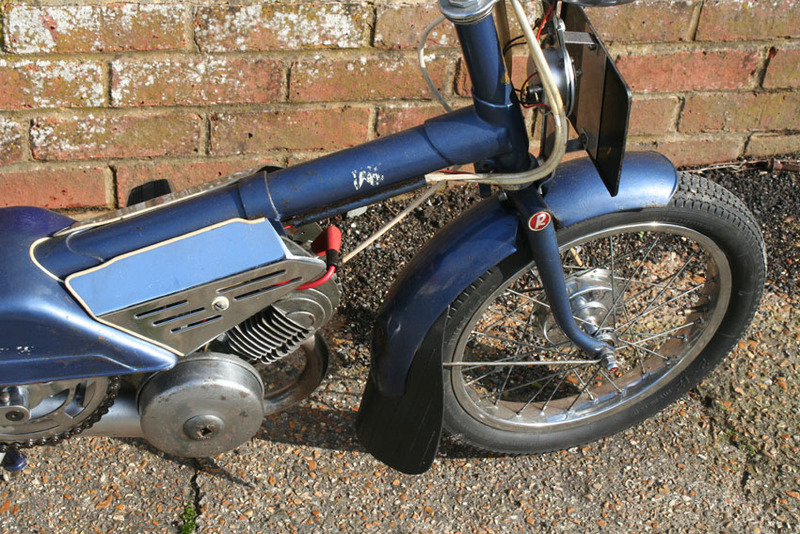 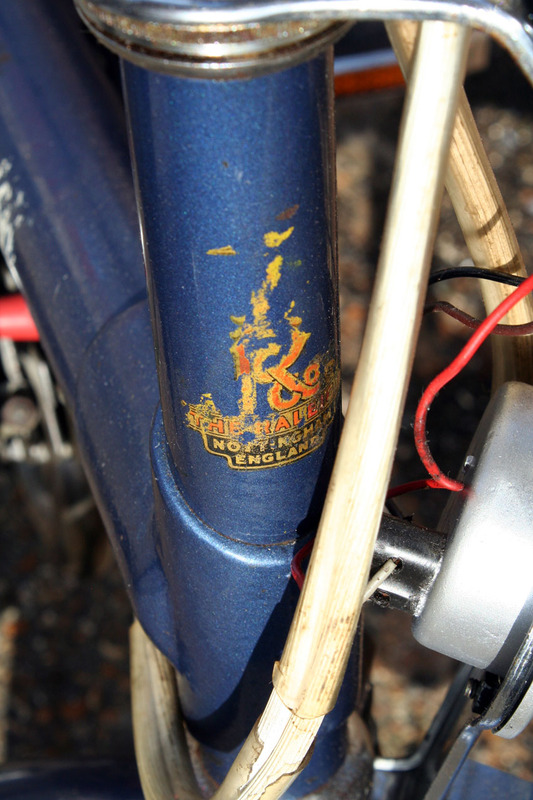 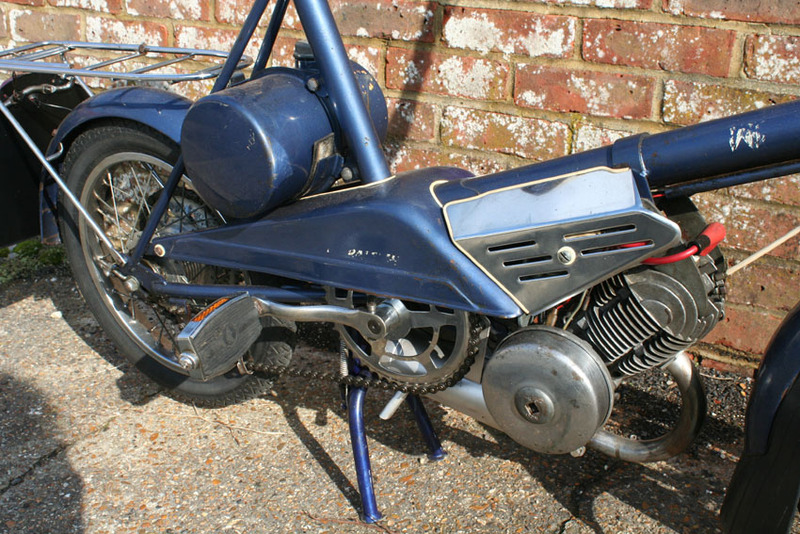 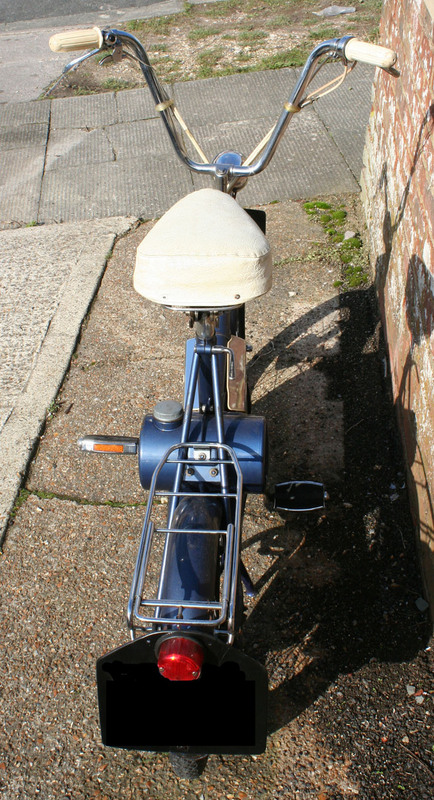 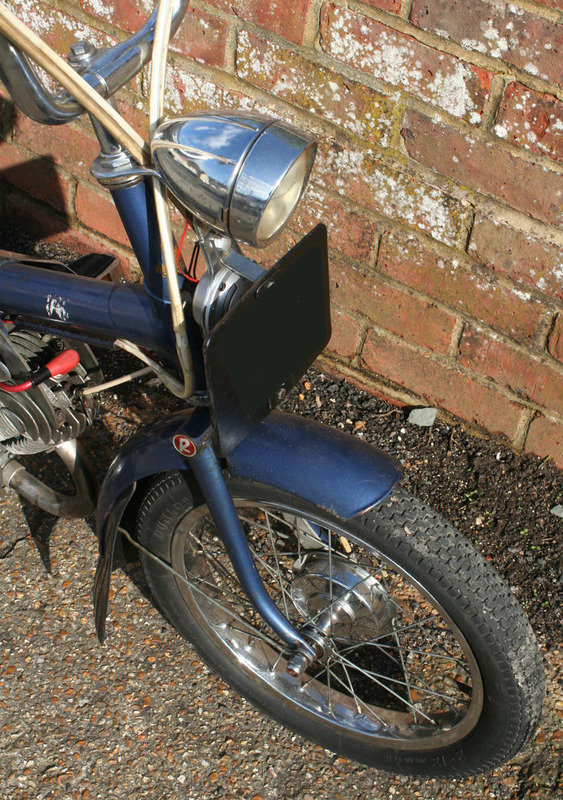 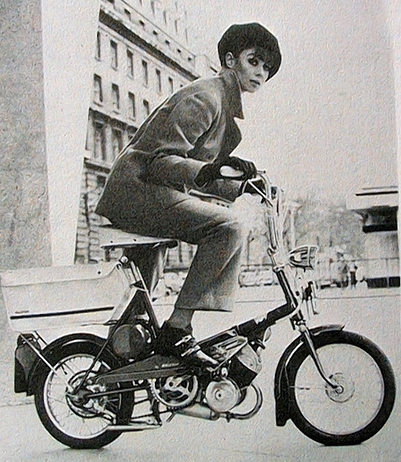 The Raleigh Wisp was a hybrid machine, incorporating the small wheels and frame of the RSW, with a small 49.9cc engine. 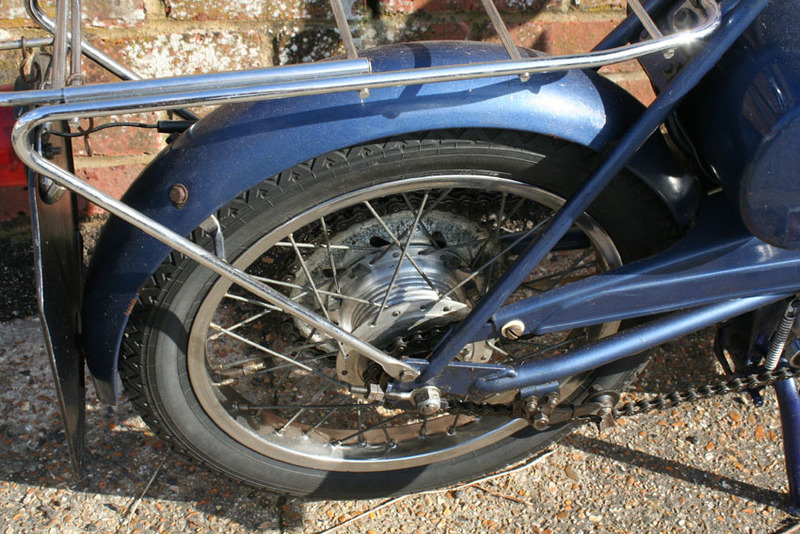 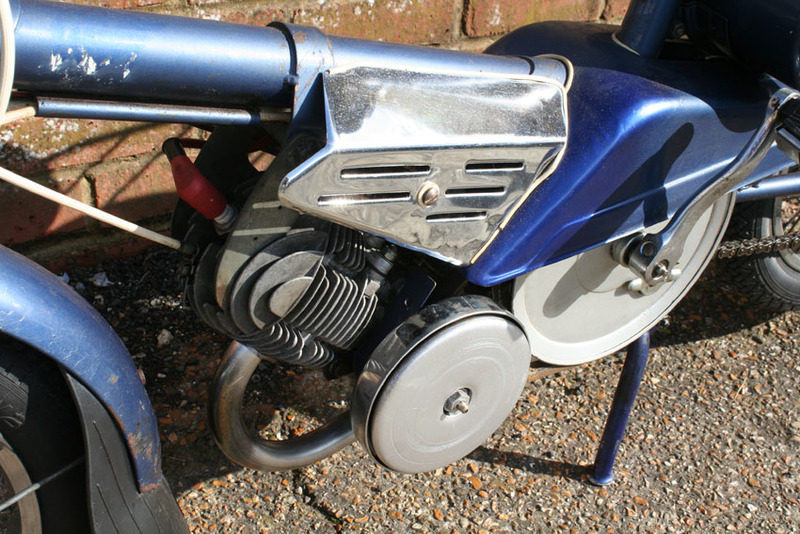 It was developed with a fully automatic transmission, meaning that the rider controlled their speed through a simple twist-grip accelerator. 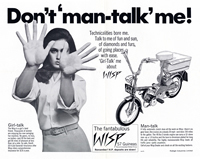 The Wisp was the focus of a two-pronged advertising campaign. 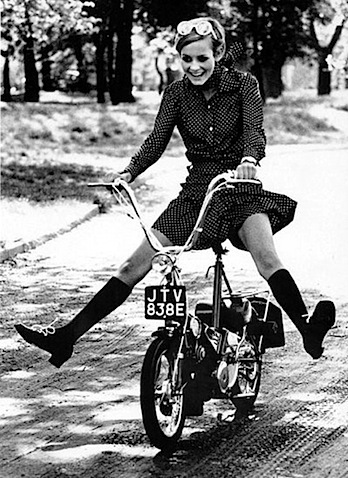 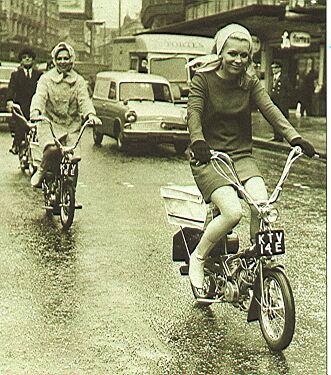 On one hand it was advertised squarely at men, giving much technical information, whereas the campaign to attract female riders focused on the ‘fun’ aspect.